SINDELFINGEN, Germany -- Daimler's Mercedes-Benz unit is reorganizing its manufacturing operations along vehicle architectures to improve flexibility, lift productivity and reduce fixed costs in order to limit investments for each model line. Called Mercedes-Benz Operations (MO), the system moves away from a manufacturing network controlled by individual factories to a leaner system centered around vehicle architectures and model lines. The system will eliminate the need for individual plant directors, instead appointing four senior managers for each of the brand's architectures. The managers will be responsible for production of all model ranges that draw on the same modular components. "Under our previous production structure, the individual plants operated largely autonomously. Now, manufacturing will be organized according to product architectures, independent of individual locations," Mercedes production boss Markus Schaefer told reporters in Sindelfingen, Germany, today. Mercedes named Andreas Kellerman, previously head of its Bremen plant in Germany, as the new production manager for the real-wheel-drive architecture MRA, which will eventually underpin the upmarket model ranges C class, E class and S class. Michael Goebel, who had overseen roadster production in Bremen, is now in charge of global compact car production, which includes the A class and B class as well as the CLA sedan, GLA crossover and CLA Shooting Brake. These models are underpinned by the MFA front-wheel-drive architecture. Production of SUVs, including the M-, GL- and G-class models using the MHA platform will be run by Jason Hoff, CEO of Mercedes' U.S. plant in Vance, Alabama. He will also be in charge of the MSA architecture for sports cars such as the SL and SLK. Peter Schabert will remain in his position as global head of powertrain production using the MPA architecture. Mercedes intends to reduce capital investments and lower fixed costs by standardizing and modularizing the tools and equipment used in its manufacturing plants. Another key factor is a centralized supply chain management, where Schaefer sees huge potential for efficiency gains. Daimler will reevaluate what activities will still be done in-house and what will potentially be outsourced, he said. "Given the expanding range of models, steadily increasing vehicle sales and greater complexity than ever before, we have to become significantly more flexible,” Schaefer said. Investments overall will grow to record levels but they should decline on a per model line basis. Each vehicle and powertrain architecture will draw on a system of modules and components. The new C class is the first model series to be built entirely in accordance with this principle. Factories will be adjusted to a manageable size, which Schaefer said was an annual production capacity of between 300,000 and 400,000 cars. Daimler announced it would invest 3 billion euros ($3.88 billion) to modernize its German plants. The Sindelfingen plant will receive more than 1 billion euros for modernization investments. The Untertuerkheim plant will receive a further billion to expand engine production. 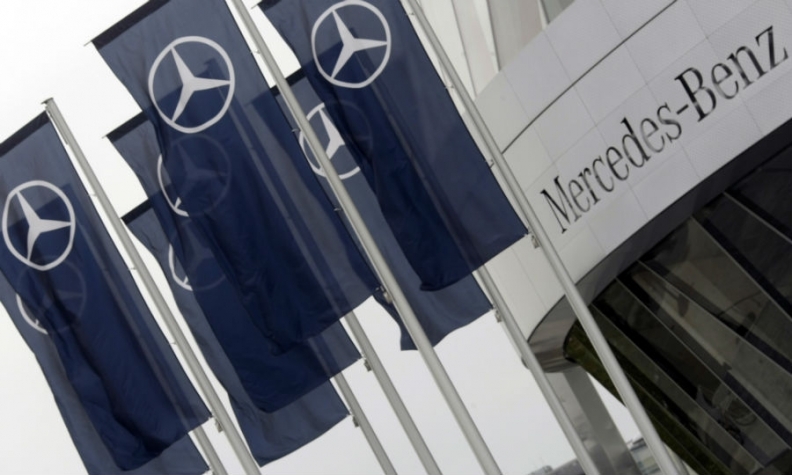 The Mercedes factory in Bremen will receive 750 million euros to increase production capacity, and the plant in Rastatt will also receive an undisclosed amount, Daimler said.